There it is. Sideways. Click for bigger, if you like. 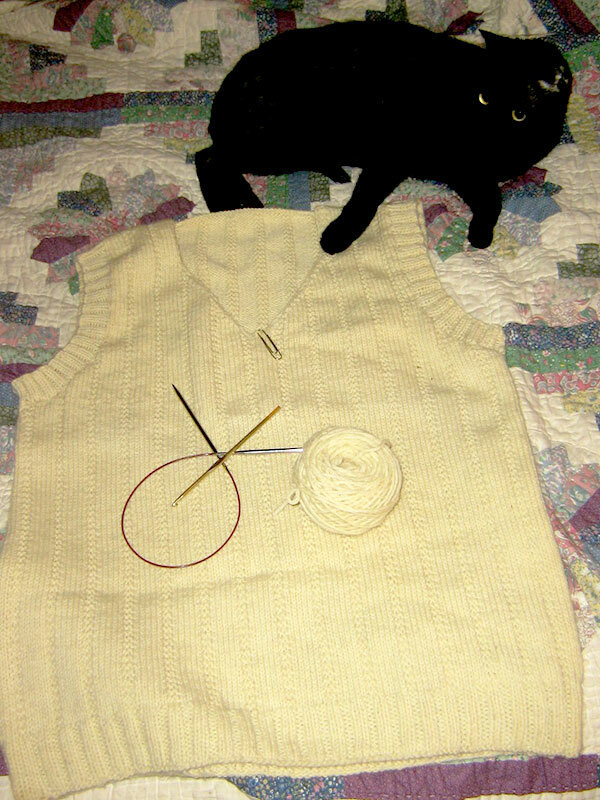 Use three-needle bind-off for shoulders. I had actually intended to do this but chickened out. Now I wish I’d just done it. Don’t do a slipped selvage on the neckline and armholes. You’ll need to pick up more stitches than that. 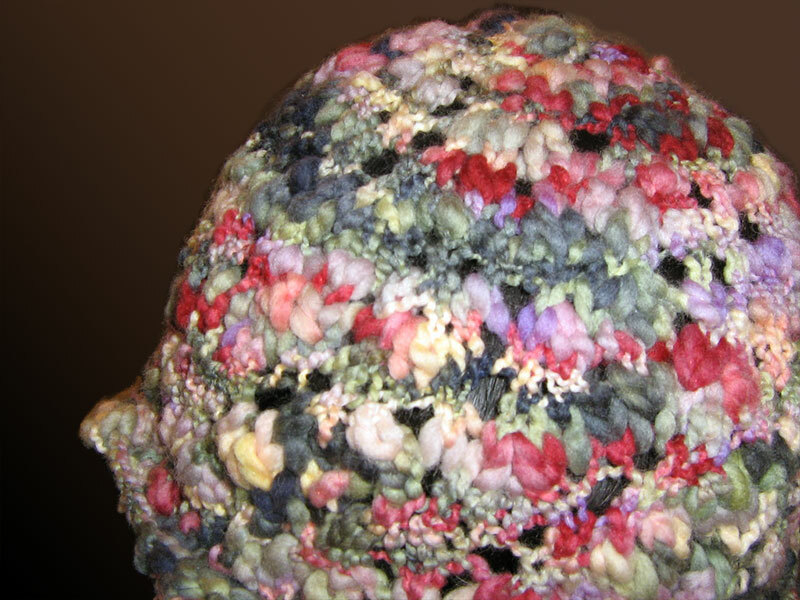 Related to the above, do all decreases one stitch in from the edge. You’ll need to pick that up later. The center neck stitch ended up looking a little stretched out. Figure out how to alleviate this. Figure out how to make the garter ribs match up at the shoulders. This will drive me nuts for the rest of my life. FELTED JOINS. They make your life so much easier. 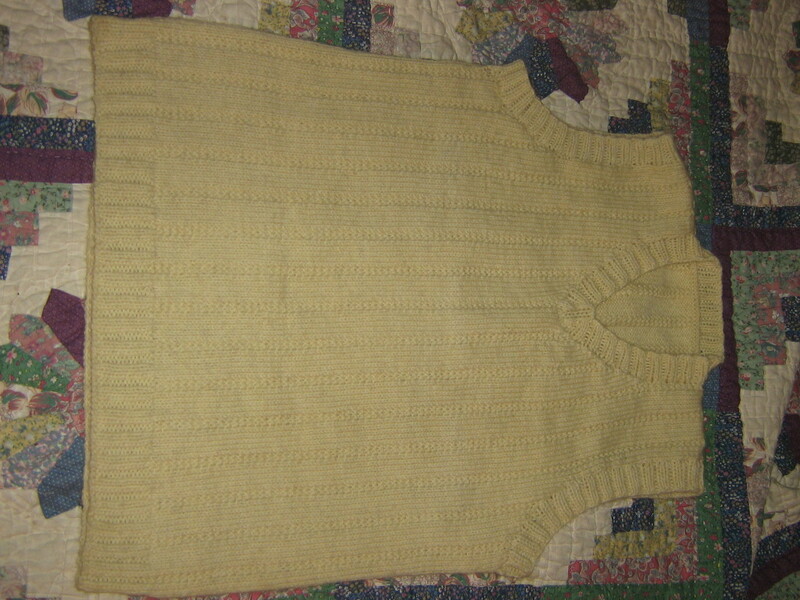 I learned a lot from this project, which was actually my first sweater. Actually, it was my first anything that wasn’t completely improvised. I think it turned out well, considering. At the last minute (on Saturday night, before the three hour drive to visit him on Wednesday), he also commissioned a hat out of the leftovers. I managed to finish it before the birthday dinner. I followed the decreases as instructed in the WWII-era pattern, doing a sl1-k1-psso instead of a more modern ssk. I like how they turned out, even if you can’t see them here. Also, my first time using felted joins (wish I’d thought of this ages ago). He plans to dye this one, so I have no idea how it’ll turn out in the end. There’s something about being unemployed and living alone (well, more or less, I do have a couple of cats) that makes one tend to neglect to notice what time and/or day it is. For example, you oversleep a little bit one day, then stupidly have a cup of coffee around 8pm, and find yourself up till 6am knitting and reading blogs (yes, I do both at the same time; knitting continental means you don’t have to drop the yarn to use the mouse 😀 ). You shuffle off to bed around 7am because you just can’t keep your eyes open anymore, only to get a phone call at 10am from your brother, who was in town visiting mom and wants to see you for a little bit on his way back home (3 hours away). He doesn’t quite remember how to navigate the big city, so calls you every 5 minutes on his way, then spends about an hour with you, after which you stand no chance of going back to sleep (if you went back to sleep now you’d be screwed up for the rest of the week anyway). So you stay up as long as you can stand to, which turns out to be around 7pm. Fast-forward to 3am, when you wake up with a headache. You get up, take some Excedrin, go back to bed. Sleep? Nope, not happening. Around 5:30 you give up and decide to go start that damn knitblog already, then knit until it’s time to get dressed (job interview at 9, but it’s really close by, so I can probably knit until 8:30). So you see, it’s simple. Yes, I have a personal blog, on LiveJournal, that I’ve had for eons, or at least since before it was so cool that everybody had one. 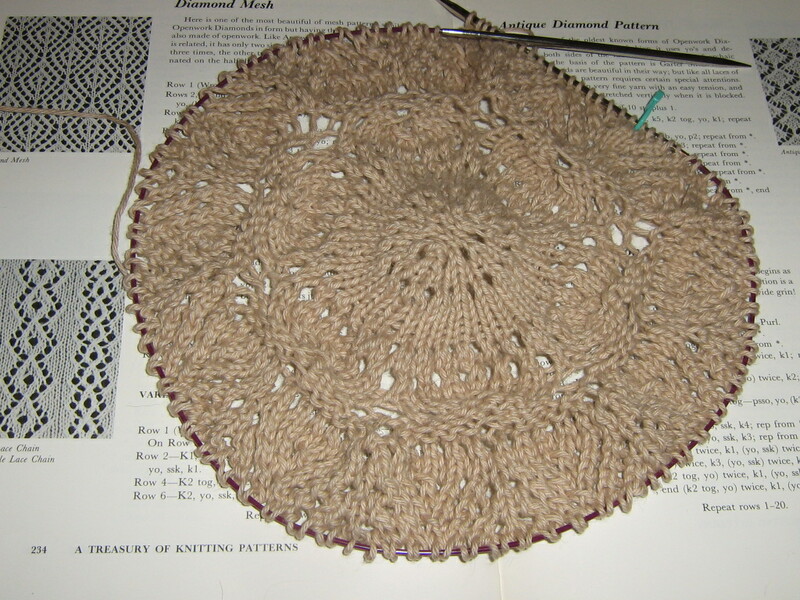 I won’t be abandoning that one, but I will probably no longer be posting any of my knitting adventures there, instead putting them on this dedicated blog. This has the advantages of not bothering my LJ friends with so much knitting that they don’t care about, as well as giving my knitting friends a blog to read that doesn’t contain all the non-knitting stuff they might not want to read. 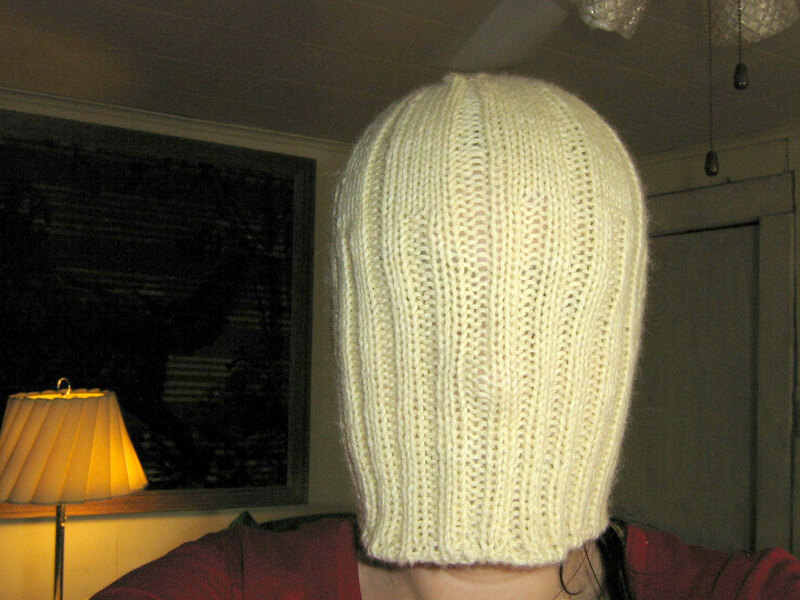 So yes, another knitblog. Take that as you will.